Food of the Fragrant Harbor Part 2: Little Treasures | What an Amazing World! On Earth, heaven can be found in idyllic tropical islands with turquoise water, picturesque villages amid green pastures on the slopes of snow-capped mountains, scenic freshwater lakes surrounded by verdant hills, or… in morsels of sweet and savory pastries, delectable steamed dumplings, and melt-in-your-mouth custard filled soft buns. 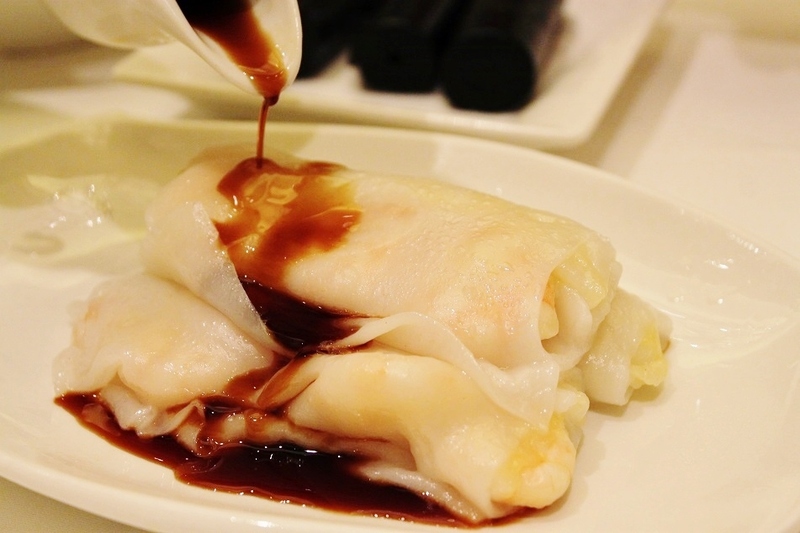 Dim sum – a collective term for the dishes – is quintessentially Cantonese, a traditional cuisine dating back centuries ago in the southern region of China of what is today Guangdong Province and Hong Kong. 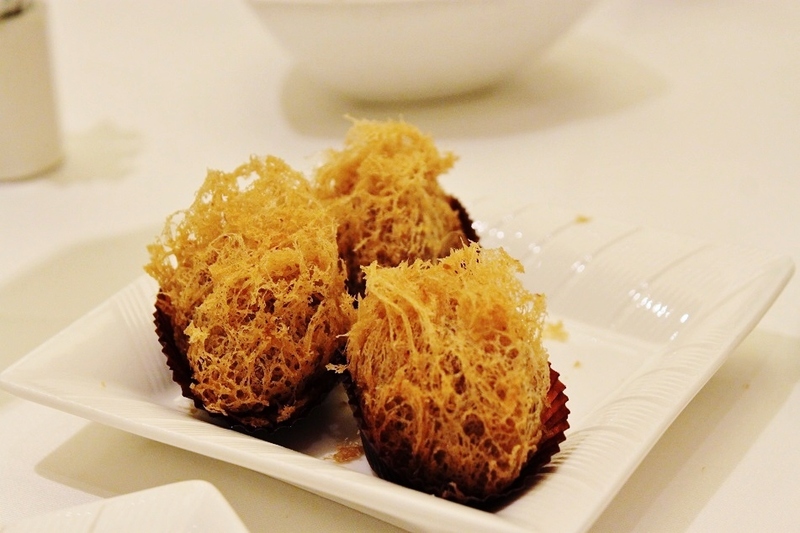 Originally served to complement tea to cater people’s need of snacking while having respite, dim sum has evolved into a contemporary delicacy easily found in restaurants, from luxury hotels to small local joints, all over the region. However even today the term people use to go to have dim sum is yum cha, literally ‘drink tea’. Earlier this year during my visit to Hong Kong, James took me to two very different types of restaurants to try a wide variety of dim sum: a nice upscale restaurant in Causeway Bay and a very small restaurant in Mongkok, tucked amid the city’s concrete structures. 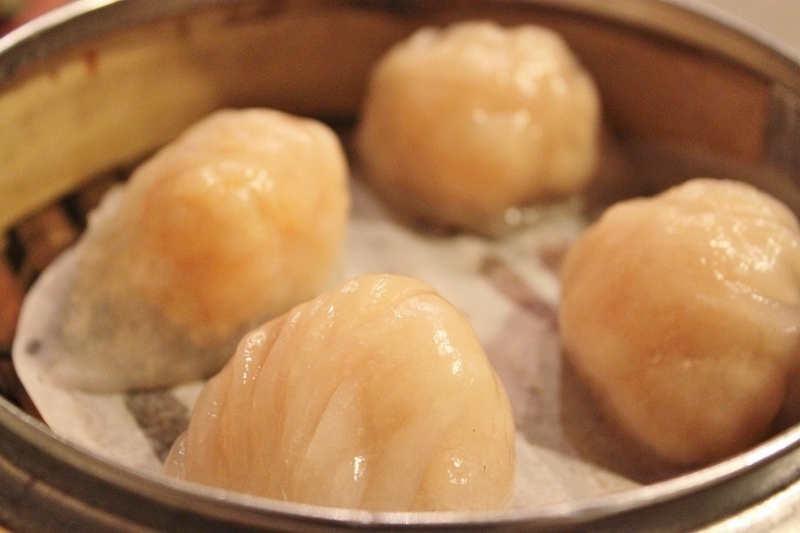 Shrimp dumpling, or har gau, with its glazy translucent skin filled with perfectly cooked shrimp proved to be one of my favorites, which also happened to be one of the classics amid the multitude of dim sum varieties. 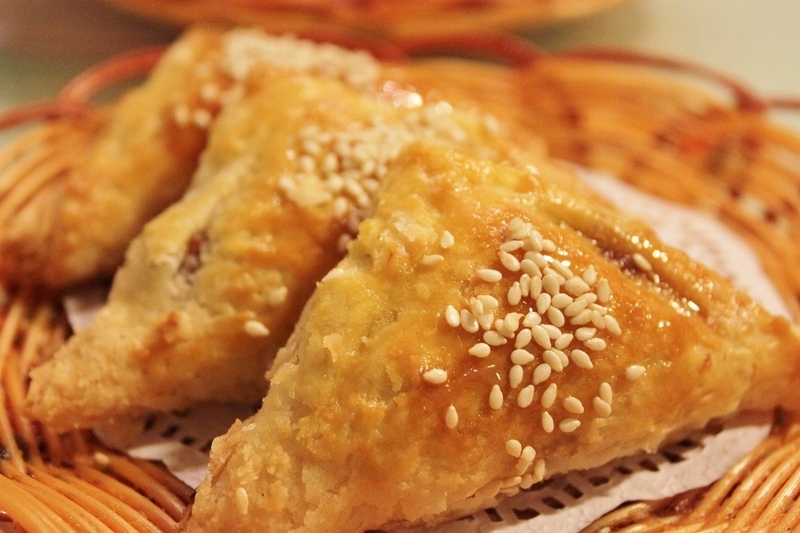 On the sweet side pineapple bun, or bo lo bau, clearly stood out among others with its golden crust with checkered brown patterns resembling a pineapple, hence the name. Originally prepared without pineapple, the one I tried in the smaller restaurant was filled with scrumptious pineapple custard, adding more flavors to the sweet bread. Egg custard bun came as a nice surprise as from the outside it looked like any other Chinese white soft buns, concealing the treasure inside: melted creamy sweet and slightly savory egg yolk. A Hong Kong invention, it has now become a new favorite for me. 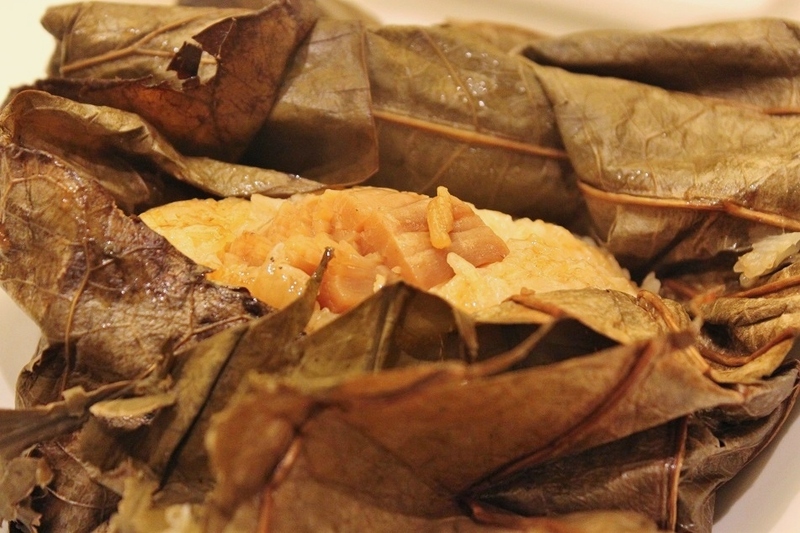 To try all types of dim sum in one go is almost impossible. 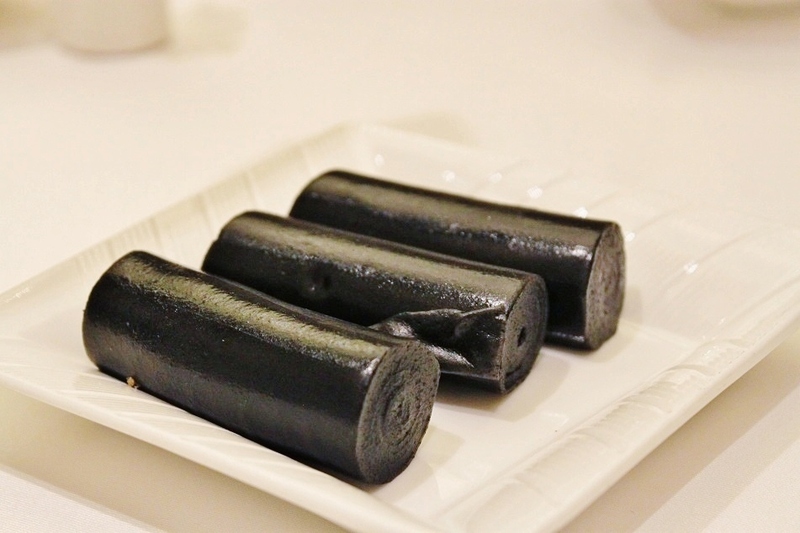 But a combination of steamed dumplings, baked or steamed buns, steamed rice noodle rolls, lotus leaf rice, and Chinese pastries provides a good idea about the wide range of flavors and textures of dim sum. 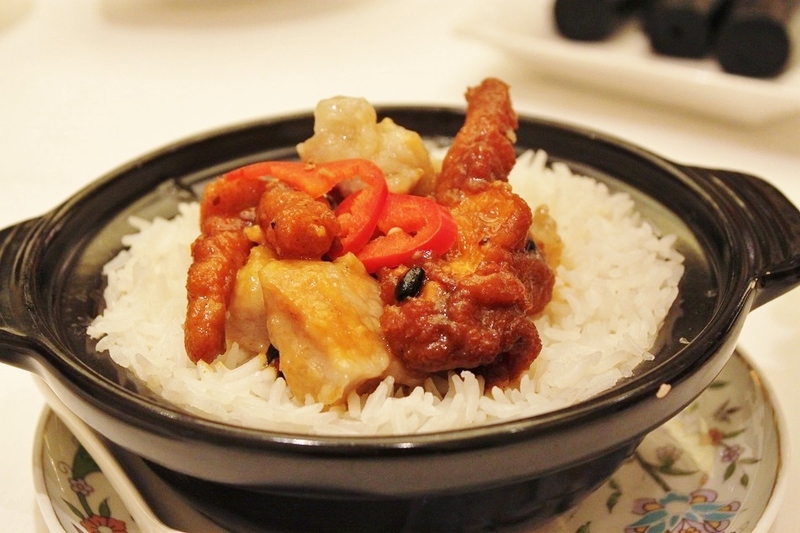 “Would you want to go for yum cha tomorrow?” James’ grandfather offered me after the Chinese New Year lunch we had. It appears that drinking tea in Hong Kong is a way for people to taste little treasures which come unassumingly in small plates or bamboo steamers. After all, the term dim sum itself means ‘touch the heart’, and it has clearly touched my heart. The pig buns are so cute! 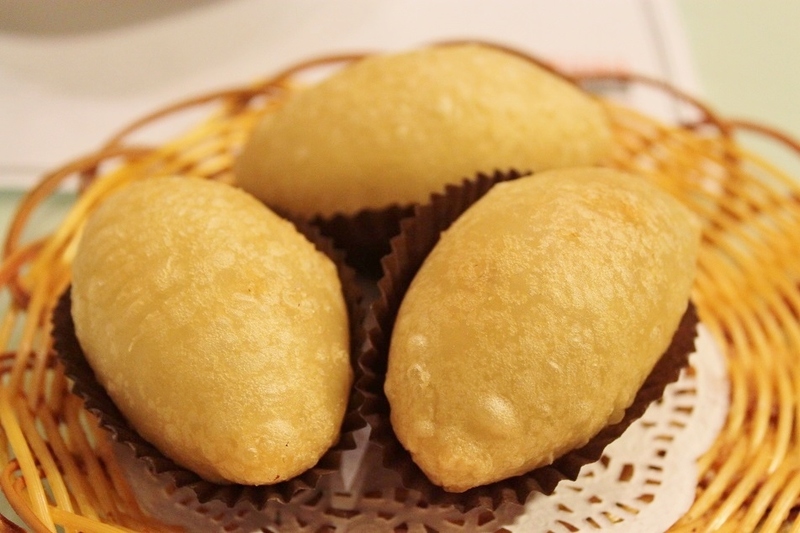 Good thing I am eating dinner soon because looking at your lovely photos made me even hungrier… And thanks for explaining the history and meaning of dim sum, as my idea of it was a bit nebulous before! And they tasted really good too! When I was writing this post yesterday my stomach couldn’t stop rumbling. I need to go back to HK. 🙂 Thanks for reading, Leah. Yum, yum, yum. It all looks so delicious! Yes, indeed. I can’t wait to have them again the next time I go to HK. What a mouth-watering post, Bama! My grandfather once told me there were over 60 varieties of dim sum in the restaurant we often frequent… there are a couple of dishes (especially desserts) that I would have loved for you to try, if only you could stay a few days longer. 🙂 One of those is baked egg custard and sago pudding with sweet lotus paste at the bottom; it’s a personal favourite of mine! 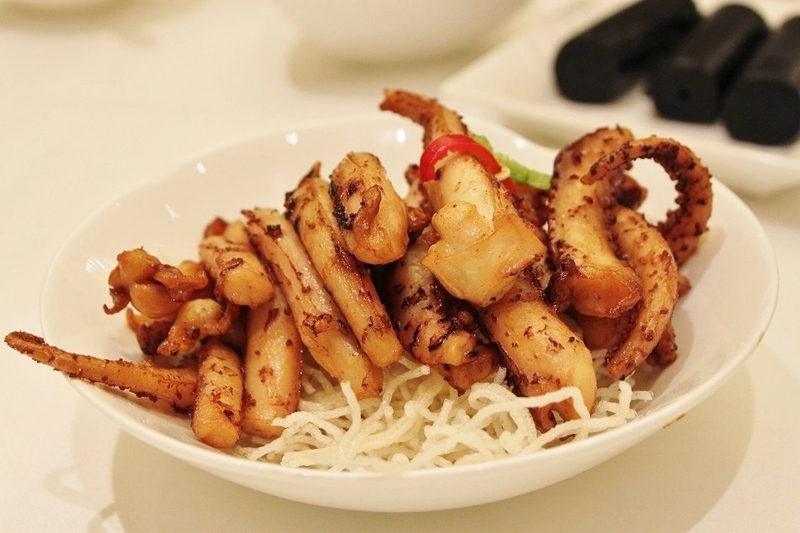 From a mouth-watering trip to HK earlier this year, thanks to you, James. 🙂 From the sound of it I know I will love baked egg custard, and that sago pudding sounds so tempting as well! I really need to go back to HK sooner than later. 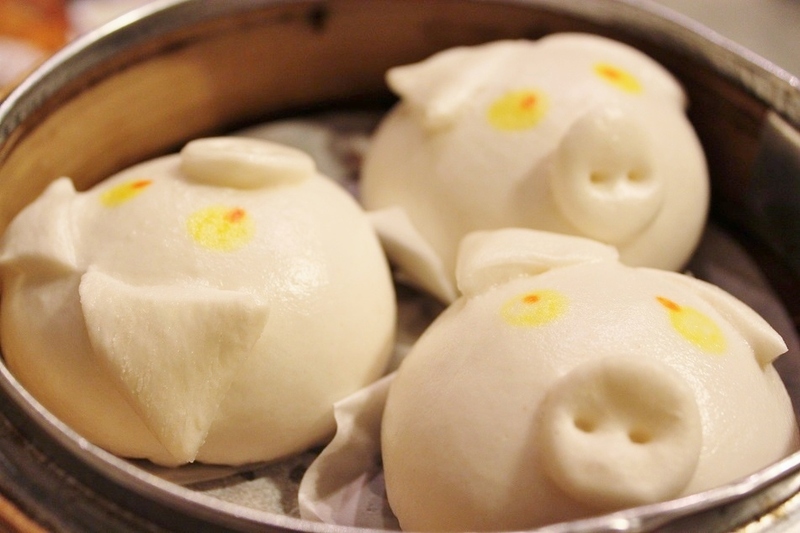 Great photos…salivating for dim sum now! Thanks! 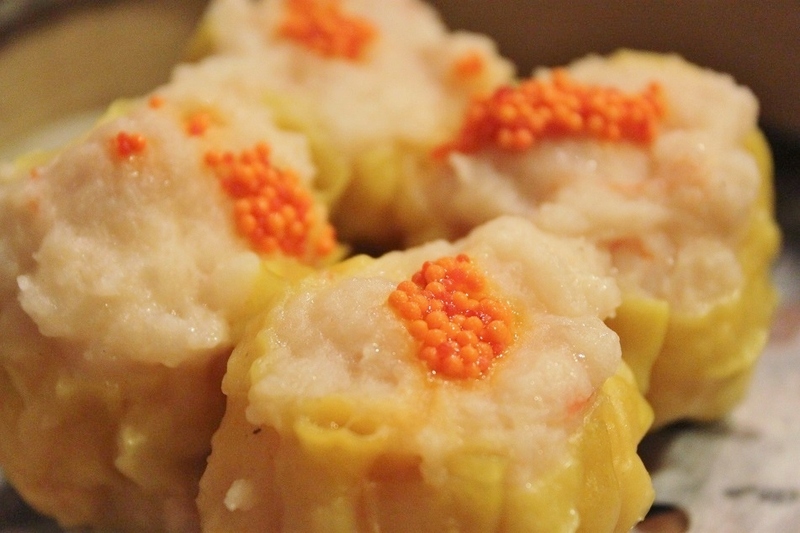 Apart from sushi, dim sum has become one of my favorite Oriental dishes now. They are, and not only looked good they also tasted great! Thanks, Meredith. I have to admit, I was more impressed by the former. 🙂 But then it was no ordinary hole in the wall. I think Anthony Bourdain has been there himself. Wohoo, how will I survive until lunch now??? Oops, sorry for that! 🙂 I guess you should come to HK yourself to have dim sum. Slurrppp…. 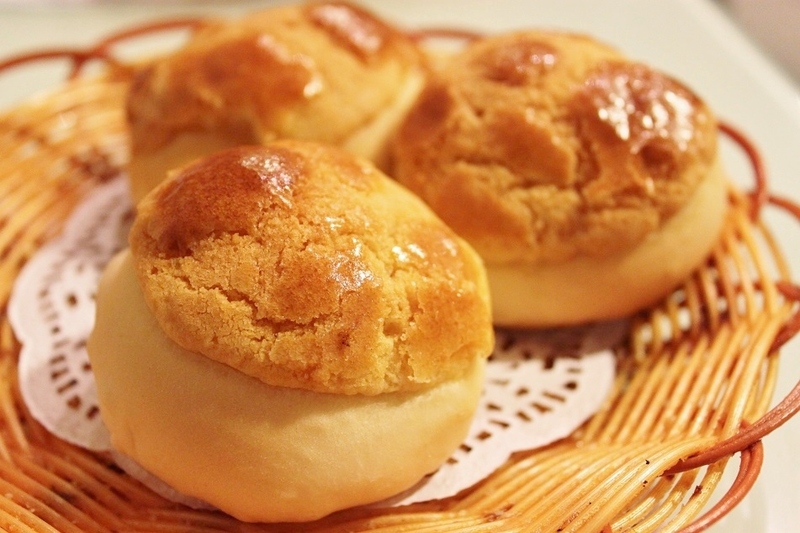 Egg custard bun nya lucu banget… Yang paling bikin ngiler itu gambar Cheung Fun, itu semacam apa ya kalau di Indonesia, Bama? Lucu dan enak! 🙂 Nah, cheung fun jujur baru nyobain di HK sih. So far belum pernah nemu makanan yang sama/mirip di Indonesia. Mungkin ada, tapi belum pernah liat. Another great post. But that Wu Gok looks disgusting 😮 It’s funny, as I eat this kind of cuisine more regularly when I am home in London, in some fancy casual dining outlets, rather than authentically on the streets of Guangdong, Hong Kong, Jiangsu etc… I guess I am missing out. Thanks, Lee. Actually Wu Gok was quite good, crunchy outside and soft inside. 🙂 I don’t know how dim sum taste in London, but the next time you go to HK you really should try the real ones. We have some similar dishes here in Indonesia but the ones in HK just taste better. Yapp! Haha. How are you? Anyway, I’m in Jakarta now, having my internship here until the end of July. I’m good, but work has been quite busy. I wonder how you feel living in this hot and humid megacity, compared to Bandung’s relatively more temperate climate. I quite enjoy Jakarta. But, I missed Bandung so much!!!! Haha. You excel at food posts with your luscious images and the mouth watering descriptions Bama! Ah yes, i have many foodie memories from our two brief visits to HK. Or should I say, legitly legit?! (pun intended) 🙂 Maybe one of these days I should get a fix of dim sum since I won’t be visiting HK again anytime soon. It is my visit to your blog. What hooked me at the first sight is the particular post with tempting pictures of delicacies. It seems that you are an evolving food writer & photographer. Hope, you would take interest in India’s diverse street food culture. I would like you to have a look at http://blog.indianeagle.com/2014/07/05/best-of-mumbai-street-foods/ Keep it up. 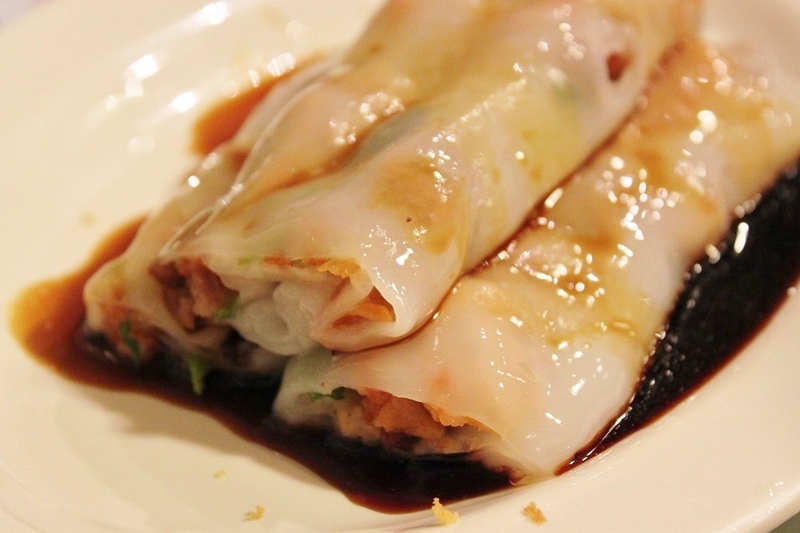 I’ve visited maybe hundrets of dimsum restaurant, non of them serve the sesame roll, is it savoury or sweet ? 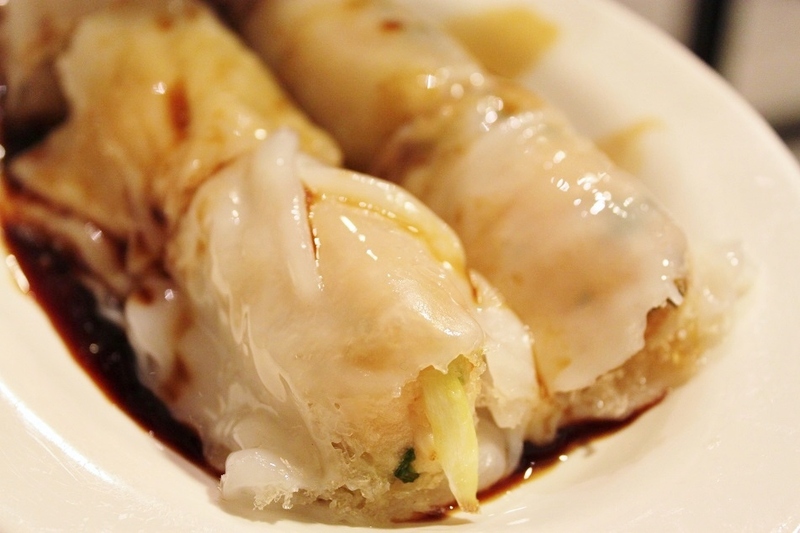 I would do anything for dim sum right now! 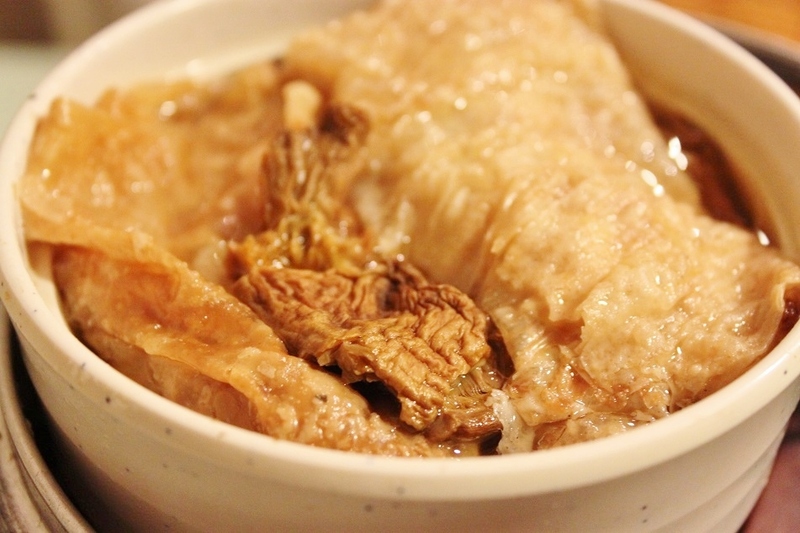 Chicken feet and tripe! 🙂 Glad you liked the photo. Now looking at those photos again made me really miss Hong Kong!